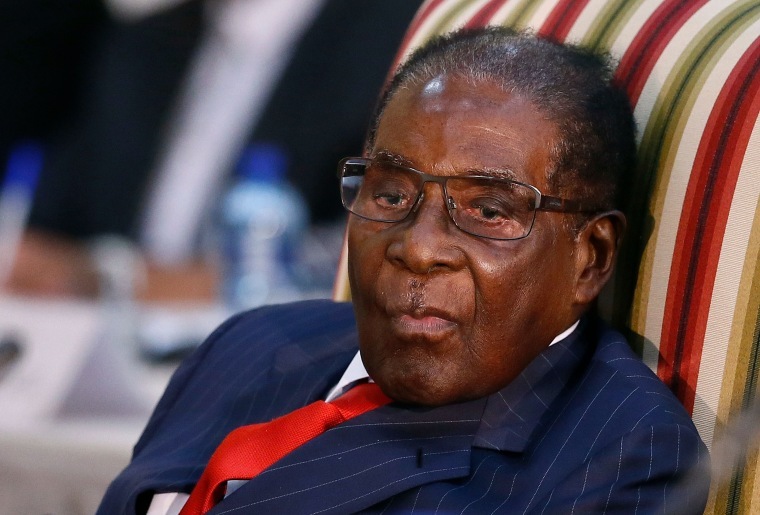 GENEVA — After widespread shock and condemnation, the head of the World Health Organization said Saturday he is "rethinking" his appointment of Zimbabwe President Robert Mugabe as a "goodwill ambassador." Two dozen organizations — including the World Heart Federation and Cancer Research U.K. — released a statement slamming the appointment, saying health officials were "shocked and deeply concerned" and citing his "long track record of human rights violations." The heads of U.N. agencies and the U.S. secretary-general typically choose celebrities and other prominent people as ambassadors to draw attention to global issues of concern, such as refugees (Angelina Jolie) and education (Malala Yousafzai). The choices are not subject to approval.